﻿	Fly to Masai Mara and Mara flights with Mombasa Air Safari. Thinking of a holiday in Kenya? The Kenya Coast offers wonderful tropical beach holidays with lots of entertainment and activities. 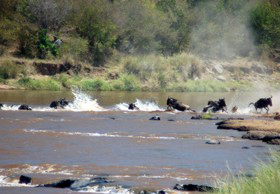 Once you are here you will want to go ''on safari'' to see Kenya's magnificent wildlife. Mombasa Air Safari flies from Mombasa Diani Beach and Malindi to many game parks. Flying to the parks is comfortable and convenient because all the camps include special vehicles for the game drives. Air safaris are popular. Select your game park and book a camp. Then book your flight. Its easy. Or book a pre-arranged MAS Special Air Safari. Thats even easier. Just email us the camp of your choice plus the number in your group and the number of nights required. 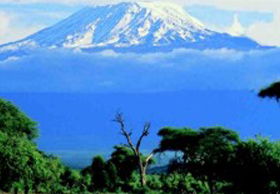 We will forward you a quote for a tailor made special air safari that will be the highlight of your Kenya holiday. Charter flights to Mombasa operate every week from England Germany Switzeralnd and Italy. You can book with any reputable tour company and be sure of a direct seat to 500 kilometers of white sandly beaches under a tropical sun. A range of 2 to 4 star tourism beach hotels are ready to look after your every need. Or you can book with Kenya Airways KLM Airswiss British Airways Emirates or Ethiopen Airlines with a connecting flight to Mombasa and then book your own beach hotel. See our terms and conditions and use the link below to send your request. MAS will take care of every detail of a clasic air safari made for you.